Just like a sunburn to the skin, the pain caused by exposing your eyes to direct sunlight usually follows hours or even a day later. That’s why Monday’s solar eclipse is particularly dangerous, said Dr. Neil Bressler, head of the retina division at the Johns Hopkins Wilmer Eye Institute in Baltimore. The event will mark the first solar eclipse visible in parts of the U.S. since 1979, and the first total solar eclipse to cross the country in 99 years. As the moon starts to block our view of the sun – covering up to 87 percent of it in Chicago by early afternoon – some might be tempted to witness the rare event with their naked eye, Bressler said. But even though the sun will be partially blocked, he said the remaining light is enough to cause vision damage after as little as 10 seconds of exposure. “And it might not hurt your eye at first, but it certainly is hurting your retina,” Bressler said. Pinhole projection: The safest and cheapest way to view a solar eclipse. This do-it-yourself project involves making a pinhole in a cardboard paper to project the image of the solar eclipse onto a sheet of paper below. According to Prevent Blindness, the only time you can safely view a solar eclipse without special equipment is during a total solar eclipse, which will not occur in Chicago during next week’s event. Speaking of ways you should not view the solar eclipse: Prevent Blindness urges people against watching via smartphone camera, as you can accidentally look at the sun while lining up your shot, which can damage your eyes (it can also damage your smartphone camera). Another no-no: Watching through a camera viewfinder, or using a filter not designed for viewing a solar eclipse. Eclipse viewers should also beware of scam artists pushing phony eclipse glasses that lack proper filters. On Thursday, Illinois Attorney General Lisa Madigan issued a consumer alert warning residents about counterfeit solar eclipse glasses. So what can happen if you look at the sun for too long, even if it’s partially or almost fully blocked? Those who experience a change in vision should consult an ophthalmologist or primary care doctor, Bressler said. But be cautioned: they might not be able to help. How will Bressler take in the special event? Not by watching it, he said. While in Europe for a meeting in the early 1990s, Bressler said he witnessed a near total solar eclipse. So instead of watching next week’s event, he plans to help staff and patients prepare for it. 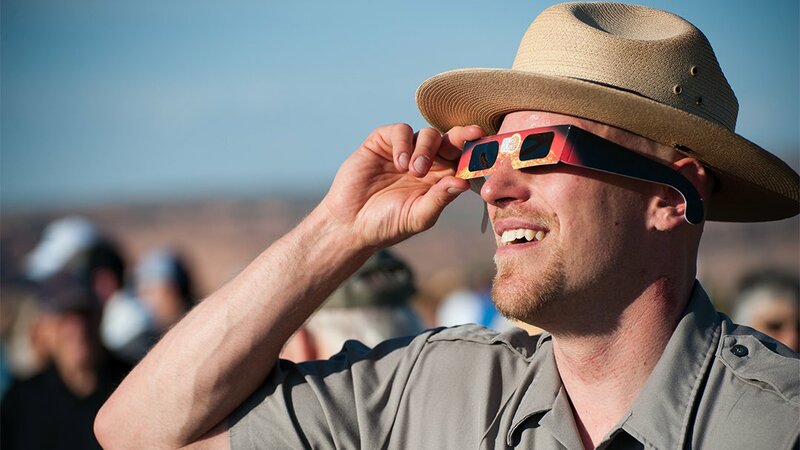 For more information on safe ways to watch the solar eclipse, visit Prevent Blindness’ website, or check out safety guidelines from NASA and the American Academy of Ophthalmology. Do you plan on documenting Monday’s solar eclipse? Use this form to upload your images to our online gallery. We may also use your photos on air! July 25: A team led by Adler Planetarium astronomer Grace Wolf-Chase used a telescope instrument to discover infrared light undetectable to the human eye, revealing new stars in the Milky Way.